MGM has released the official trailer for the upcoming wrestling comedy Fighting with My Family, based on the true life story of WWE Superstar Paige. Watch the movie trailer below! 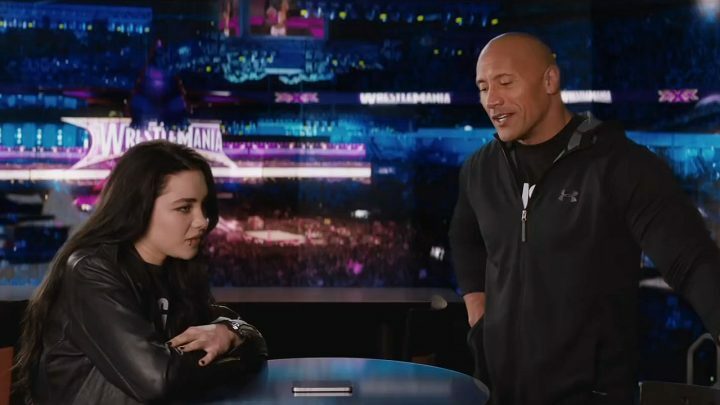 Directed by Stephen Merchant and executive produced by Dwayne Johnson, ‘Fighting with My Family’ stars Florence Pugh (Malevolent), Jack Lowden (Dunkirk), Vince Vaughn (The Break-Up), Dwayne “The Rock” Johnson (Jumanji: Welcome to the Jungle), Nick Frost (Shaun of the Dead) and Lena Headey (300). Based on a true story, “Fighting with My Family” follows reformed gangster Ricky, wife Julia, daughter Paige and son Zak as they make a living wrestling together in tiny venues. When Paige and Zak get the opportunity to try out for WWE, the family grabs a once-in-a-lifetime chance to turn their wildest dreams into a dazzling future. However, brother and sister quickly discover that to become superstars, both their talent and their relationship will be put to the test.